It must have been the launch of the visionary Newcastle Bike Plan that brought out all the fabulous bikes today. The cafe racer above was there, I love the shiny black paint, cream tyres, leather trims and handlebars. Perfection! This is somewhat of the styling I was after with my Bennett restoration, but this one has really hit the mark with its handsome looks. 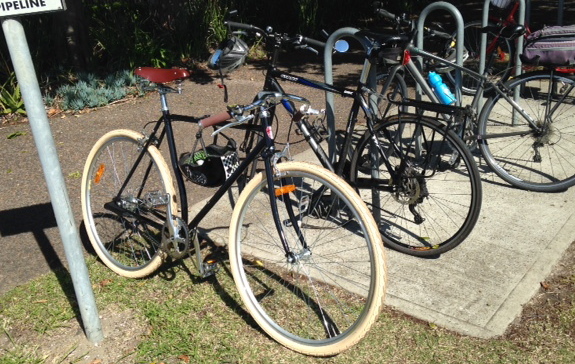 And this one on the left looked like a Vanmoof. This was the best photo I could get of it, but to see such a beautiful high tech bike in Newcastle! This Achielle was a show stopper too. My photo does not do it justice, the light was too strong to capture its features properly. 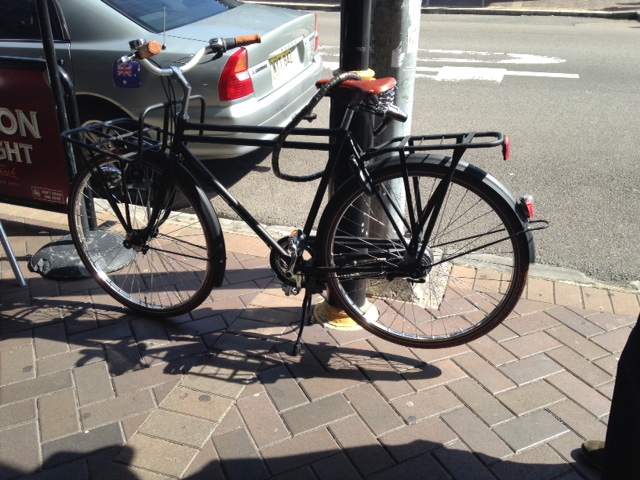 It is all matt black with brown tyres, a heavy duty rack at the front, leather grips and saddle and a double top tube. Understated elegance! It had two of the biggest locks I have ever seen on a bike, its owner is certainly taking no chances. Fantastic to see bike connoisseurs emerging in Newcastle! 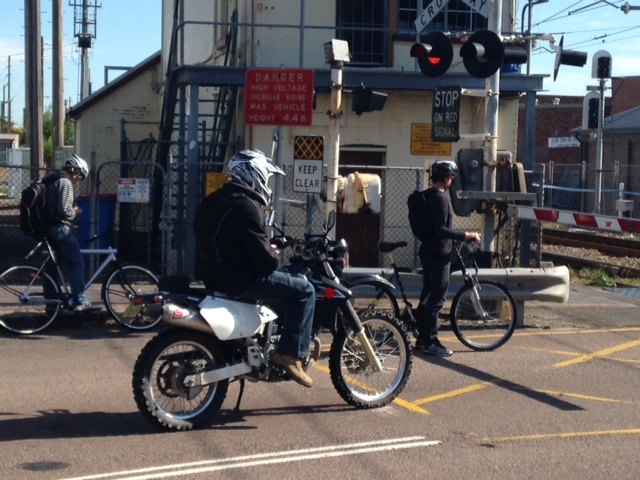 This entry was posted in Uncategorized and tagged Beaumont St, Throsby Creek, Trendy bike, unusual bikes. Bookmark the permalink.